If a stimulating environment get’s your entrepreneurial juices flowing, the Entrepreneurs Cruise taking place from April 22-29 may be an option for you. On your way from Florida to destinations such as Philipsburg, St. Maarten; San Juan, Puerto Rico; and Labadee, Haiti you will be with professionals who will teach you the latest innovative technologies, emerging strategies, best practices and much more. On this year’s cruise, some of the topics to be covered include digital strategy, customer engagement, data science and big data, programmatic advertising and more. You can learn more about the cruise, including how to sign up in the Featured Events section. This list has different events geared to small business owners across a range of topics. If you happen to have your own event, contest or award listing, you can visit the Small Business Events Calendar and let the world know about it. Are you an Entrepreneur and need to get away and take a break? Ready to recharge, rejuvenate in new surroundings and be inspired by other like minds? Then, you can’t miss the 4th annual Entrepreneurs Cruise! 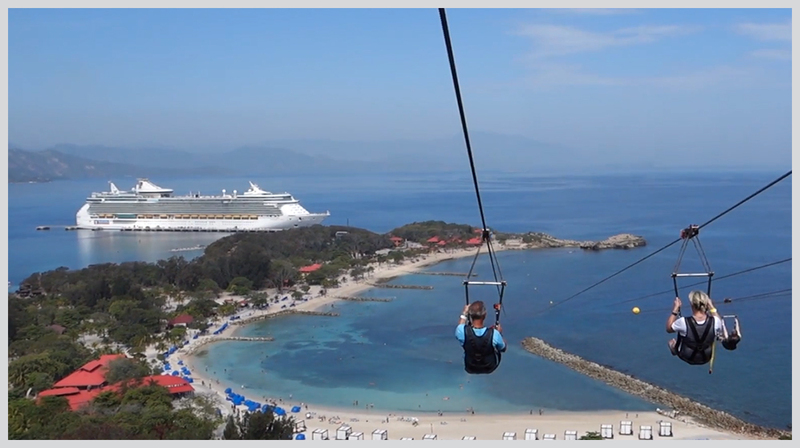 Entrepreneurs Cruise 2018 takes place April 22nd to 29th, 2018 onboard the Royal Caribbean ‘Oasis of the Seas’ Cruise Ship departing Orlando (Port Canaveral), Florida, sailing to Philipsburg (St. Maarten), San Juan (Puerto Rico), Labadee (Haiti). Register today! DigiMarCon East 2018 Digital Marketing Conference takes place May 10th to 11th, 2018 at the luxurious New York Marriott Marquis in Times Square, New York City. It’s the one digital marketing event you can’t afford to miss! Whether your goal is to reinforce customer loyalty, improve lead generation, increase sales, or drive stronger consumer engagement, DigiMarCon East 2018’s agenda will help attendees enhance their marketing efforts. Sessions will focus on building traffic, expanding brand awareness, improving customer service and gaining insight into today’s latest digital tools. Register today! TECHSPO Houston 2018 is a 2-day technology expo which takes place JUNE 6 – 7, 2018 at the luxurious Houston Marriott Eaton Centre Hotel in Houston, Ontario. TECHSPO Houston brings together developers, brands, marketers, technology providers, designers, innovators and evangelists looking to set the pace in our advanced world of technology. TECHSPO Houston 2018 promises to be better than ever and we’re excited to see all the amazing tech companies and talent that will join us. Register today! This small business virtual conference is dedicated to supporting entrepreneurs at all stages who are stuck in the daily grind of building their businesses and struggle to get solid advice and guidance. An amazing panel of experts in various disciplines and business coaches will share tips & tricks on topics including Growth, Marketing, Management & Business Building for Success. Register today! Small Business Expo 2018 – WASHINGTON D.C.